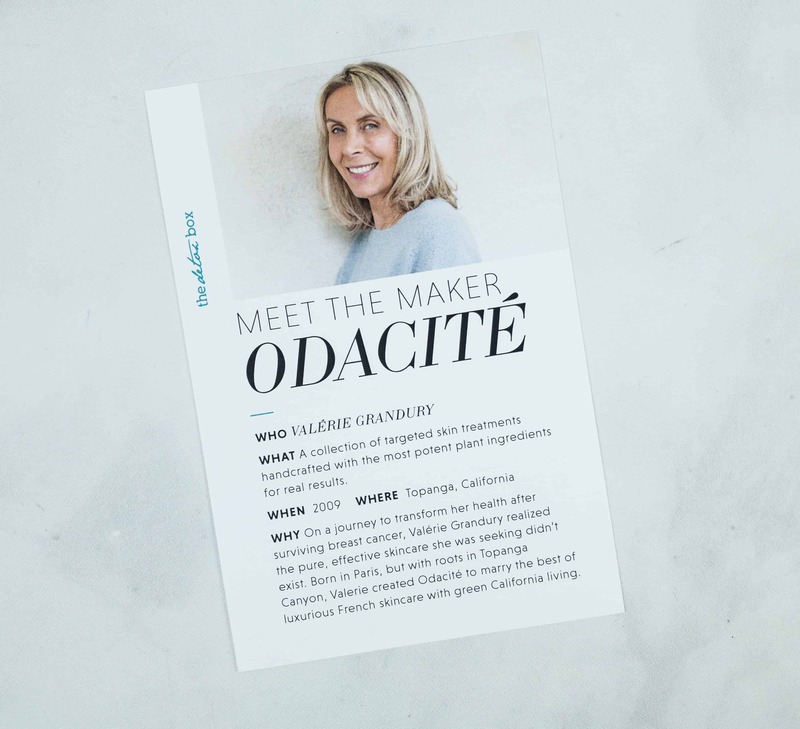 This month’s featured brand is Odacite by Valerie Grandury! 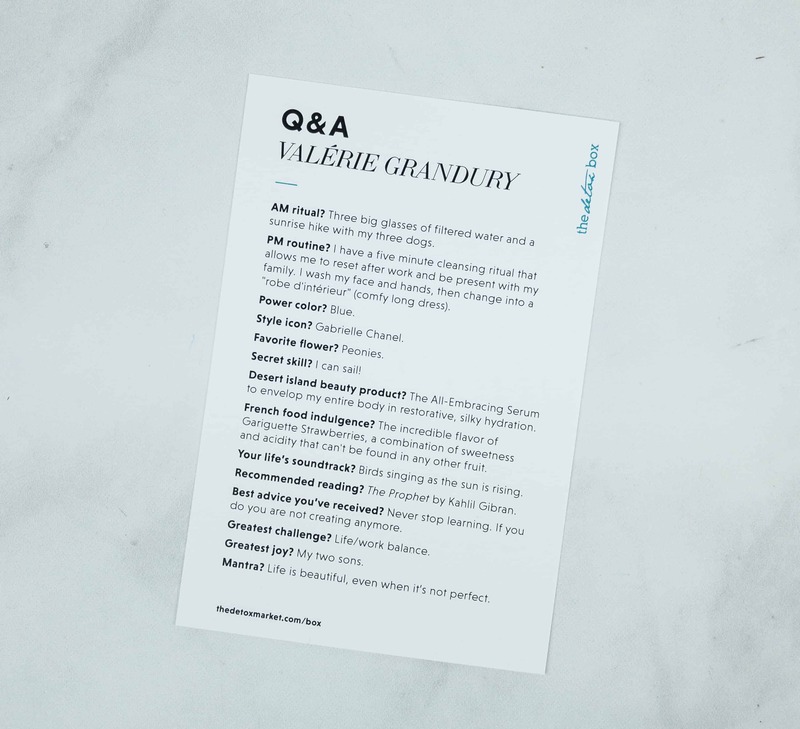 The Detox Market had a little Q and A with the makers Valerie Grandury, where she also shared some personal information. 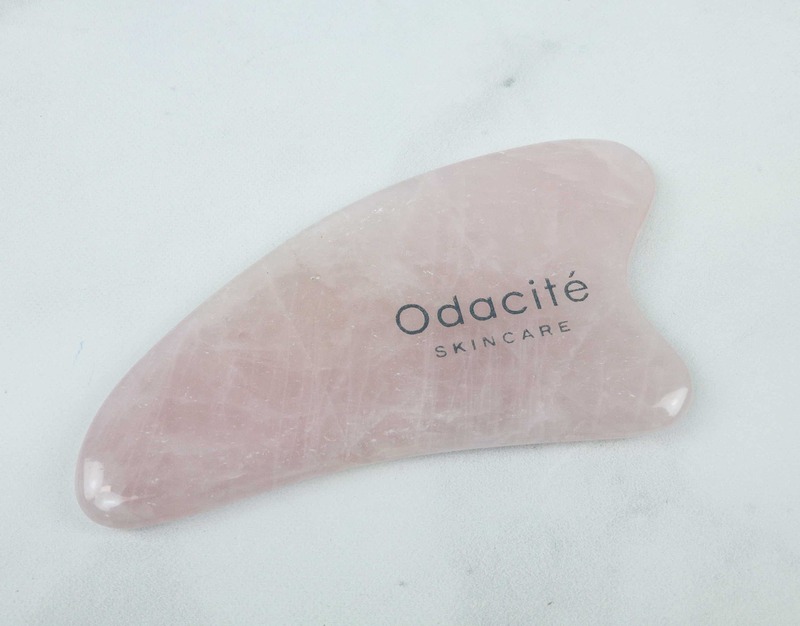 Odacité Pure Elements Crystal Contour Gua Sha ($38) It’s a crystal contour from Odacite. 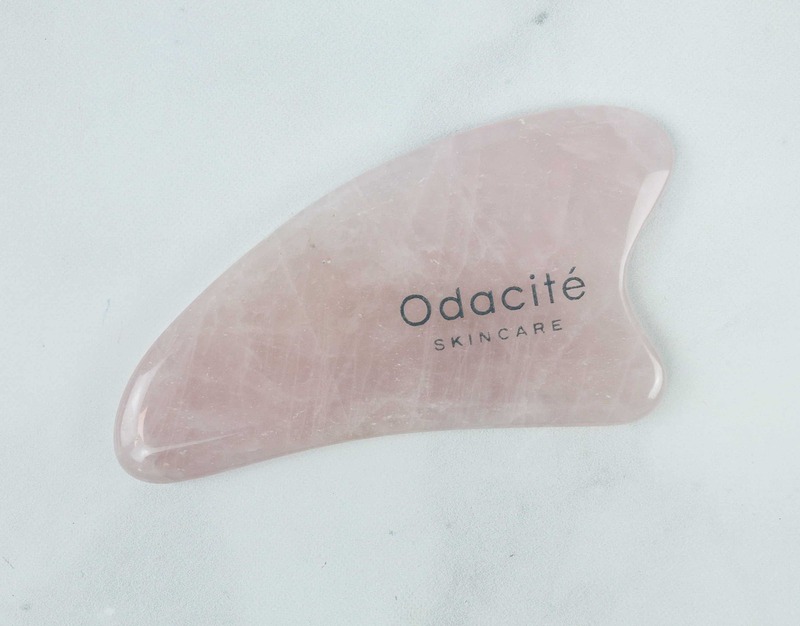 Gua Sha is an ancient beauty ritual that breathes new life to the skin. It’s a useful tool for those who want to reduce signs of aging. It appears that this Crystal Contour has been hand carved to match the contours of the face. It’s amazing! 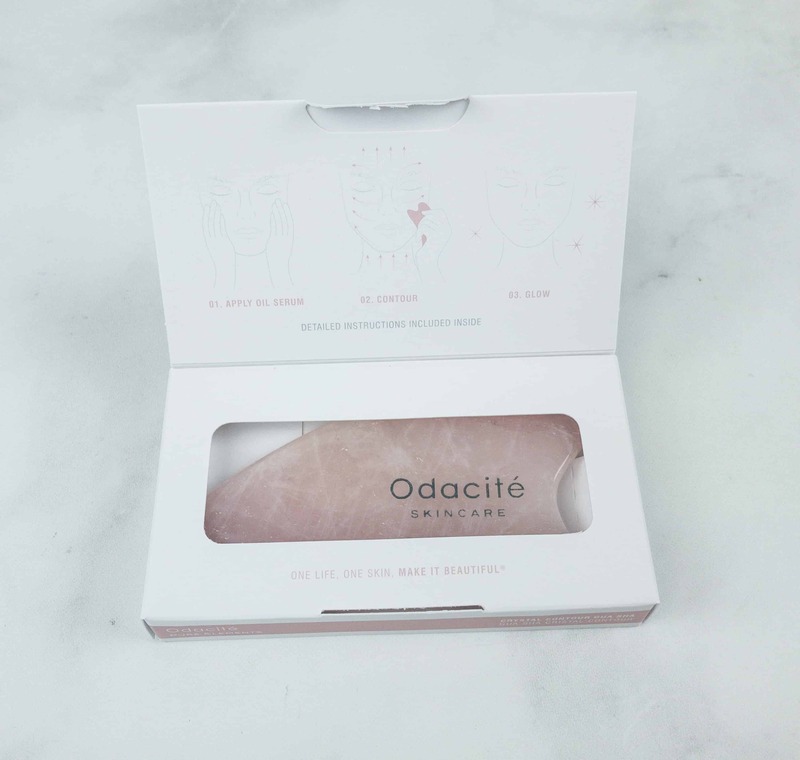 The Odacite crystal looks gorgeous even from inside the box. The packaging ensures that the stone is damage-free during transport. It looks pretty in light pink! The edges are smooth and seamless. 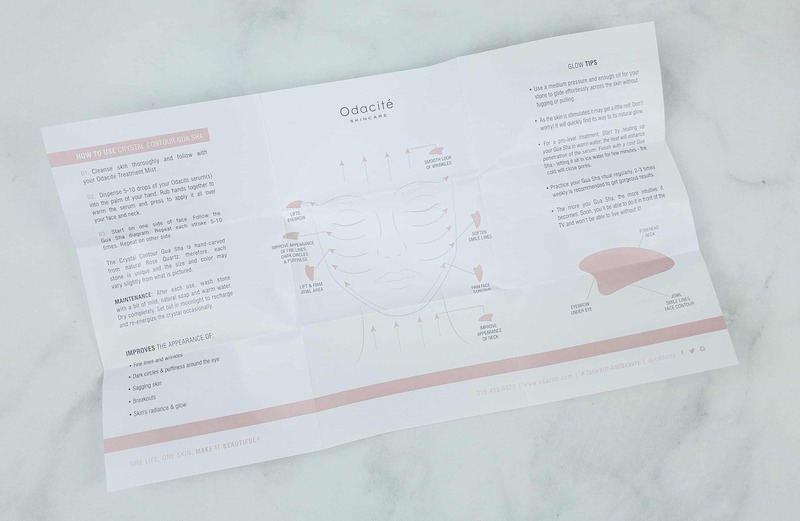 There’s also an information sheet about how the crystal contour works. 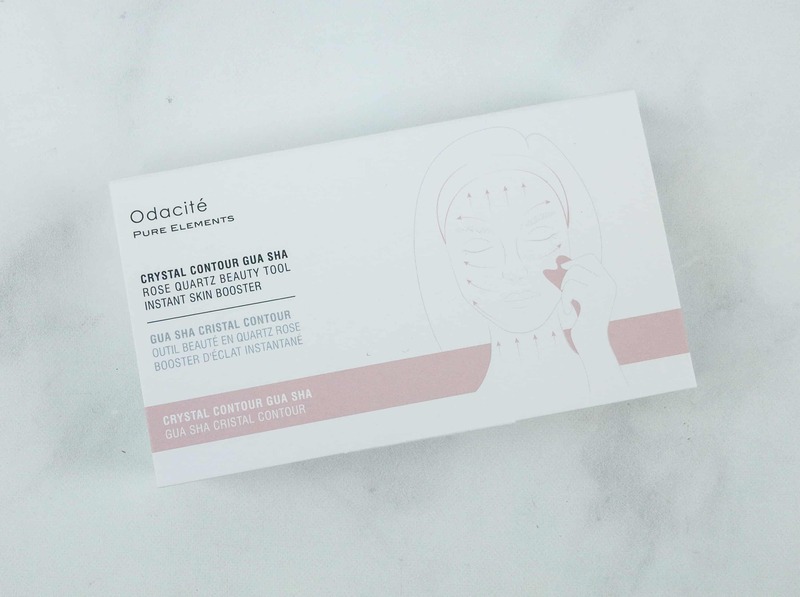 It shows how you can take advantage of the stone in manipulating your skin to remove fine lines and wrinkles. 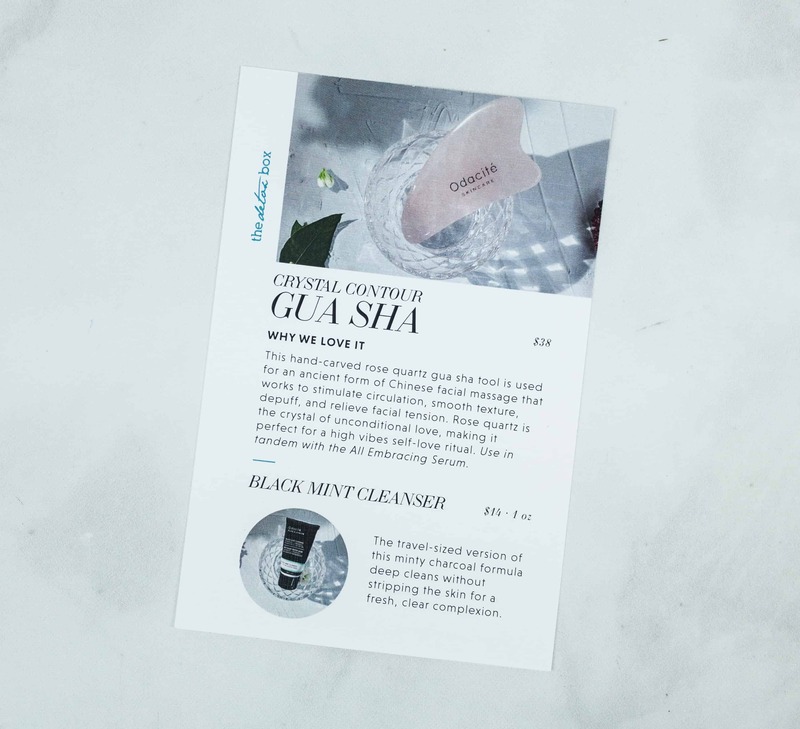 Also, it’s easy to use and incorporate to your usual skincare routine. 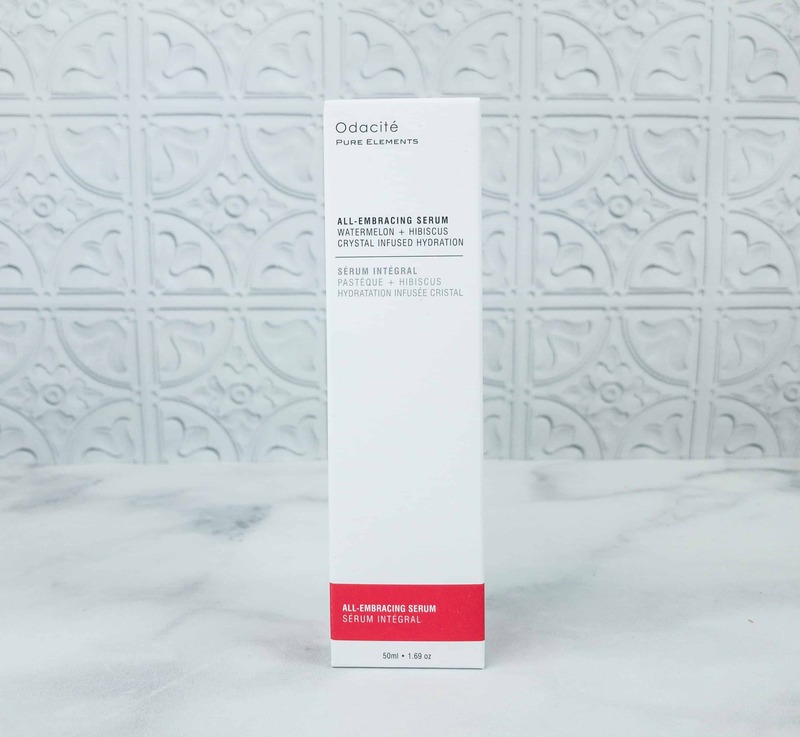 Odacité Pure Elements All-Embracing Serum ($95) This all-embracing serum is a versatile skin care product that revives and rejuvenates the skin. 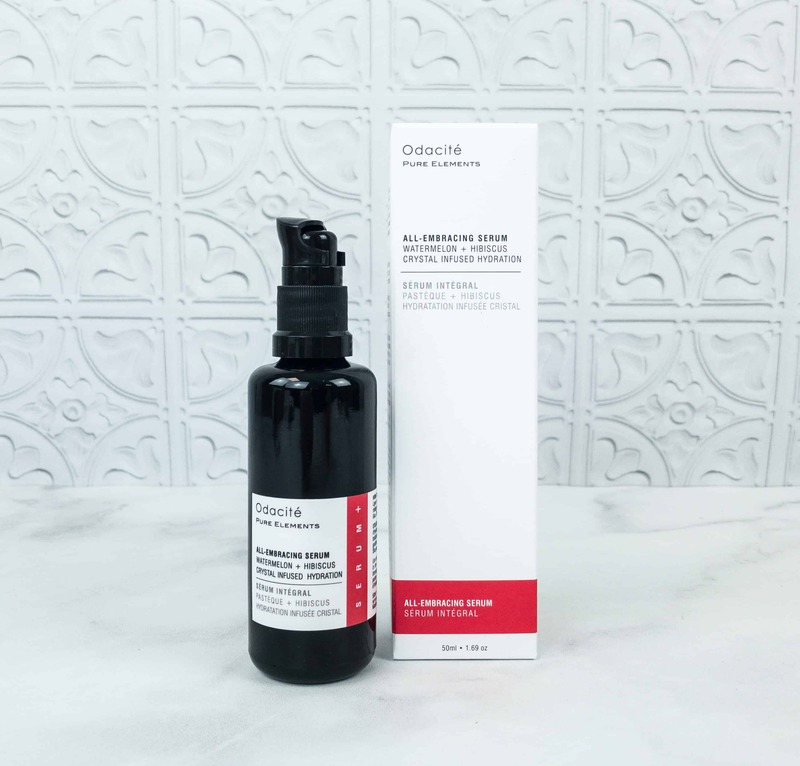 This serum helps combat signs of aging, skin irritation after shaving, dryness throughout the body, and revitalize tired and dull looking skin. All the ingredients are listed on the box too. It has vitamins A, B, and E, as well as oatmeal and hibiscus flowers. Sounds good, right? It comes in a pump action bottle that can deliver adequate amounts of serum that will help revitalize your skin. I like that it can address different skin conditions. This one is a keeper! It’s lightweight with an amazing scent and using it with the stone creates a relaxing beauty ritual! 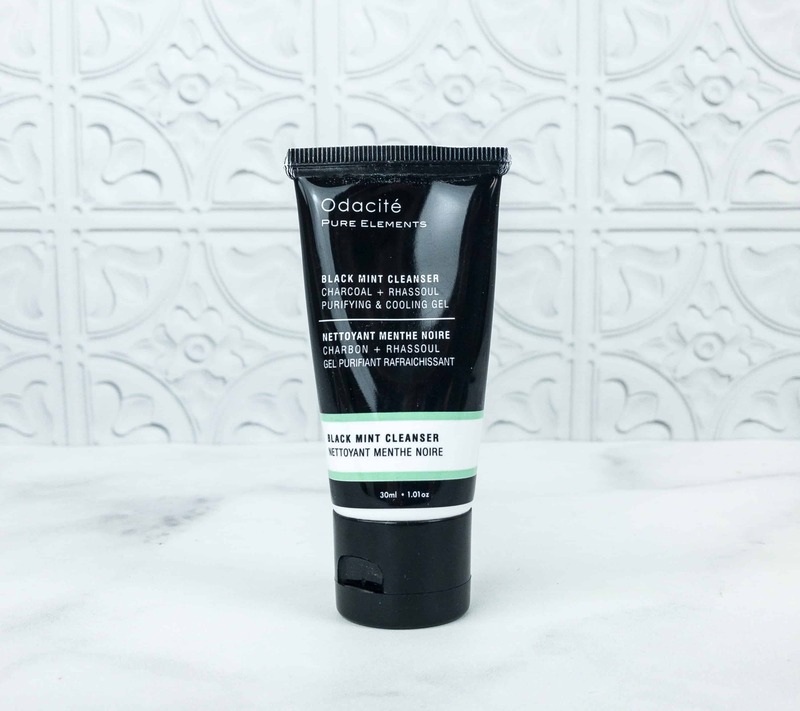 Odacité Pure Elements Black Mint Cleanser ($14) If you have an acne or oily skin, this cleanser is for you. 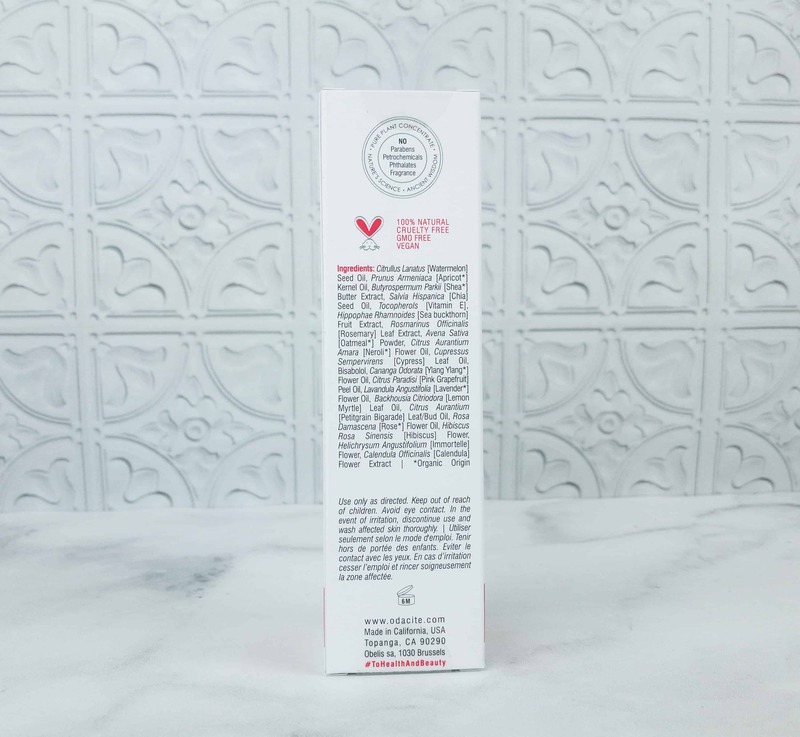 The formula is packed with deep cleansing properties that will keep breakouts at bay. 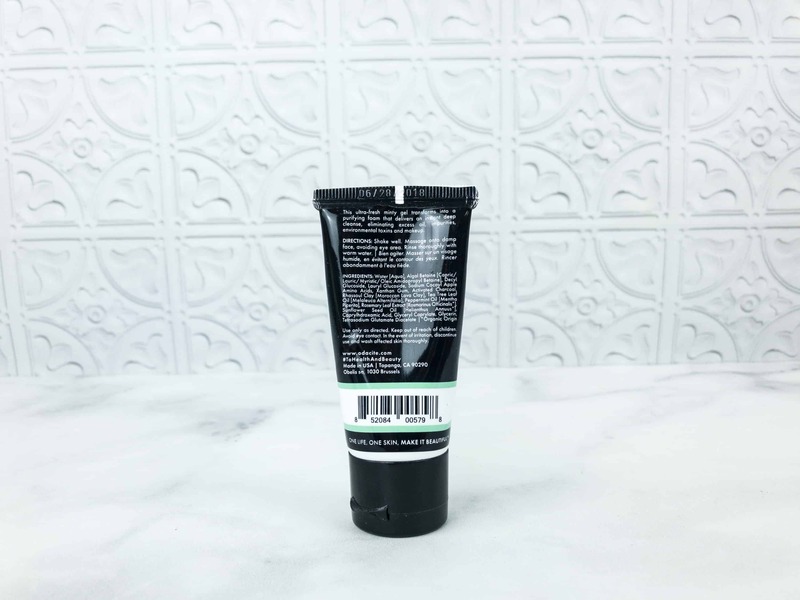 The combination of activated charcoal and rhassoul clay purifies the skin. 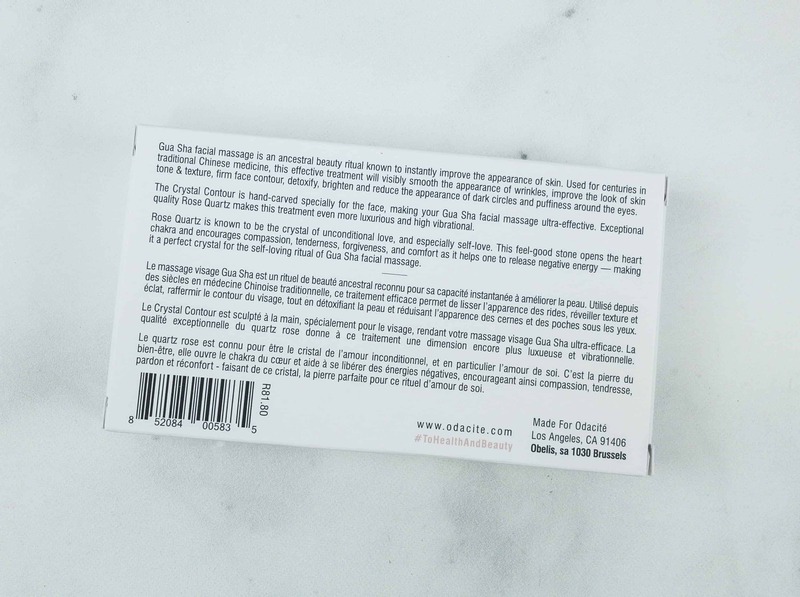 It also contains peppermint and tea tree oil that fights acne. I was totally surprised that it foamed up and what a refreshing blast it was with the peppermint & tea tree! 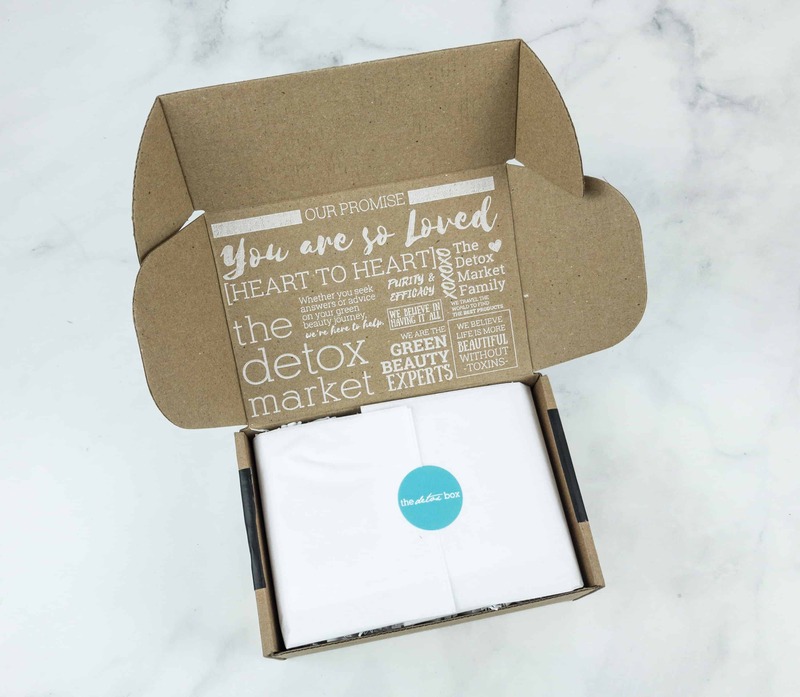 The Detox Box has given me more reasons to enjoy my skincare routine with the Crystal Contour and the cleansing products. 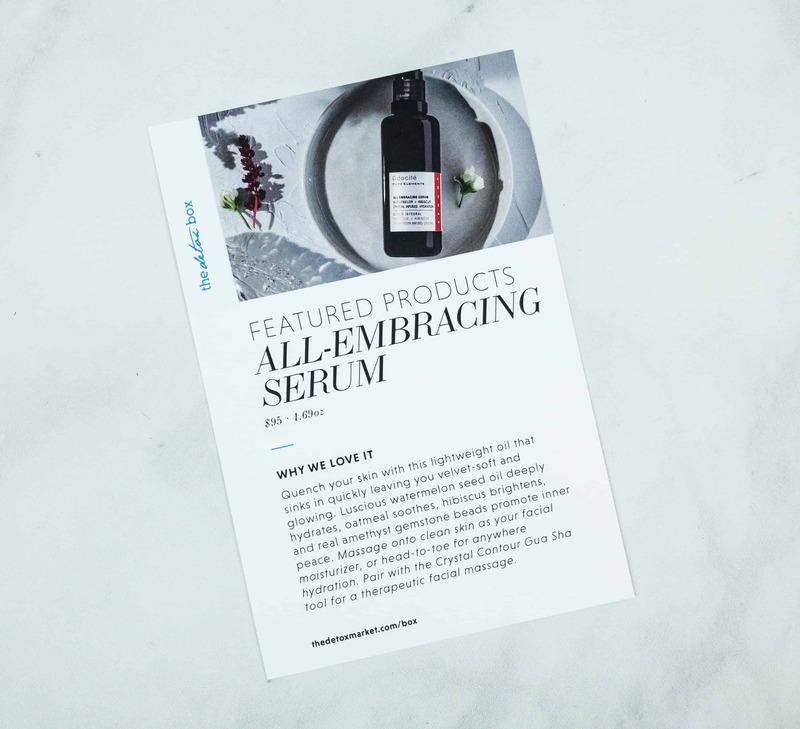 The All-Embracing serum is definitely my favorite item as it helps improve my skin’s condition, but the results are further enhanced with the contour stone and the Black Mint Cleanser. It’s a powerhouse of amazing skin care products! 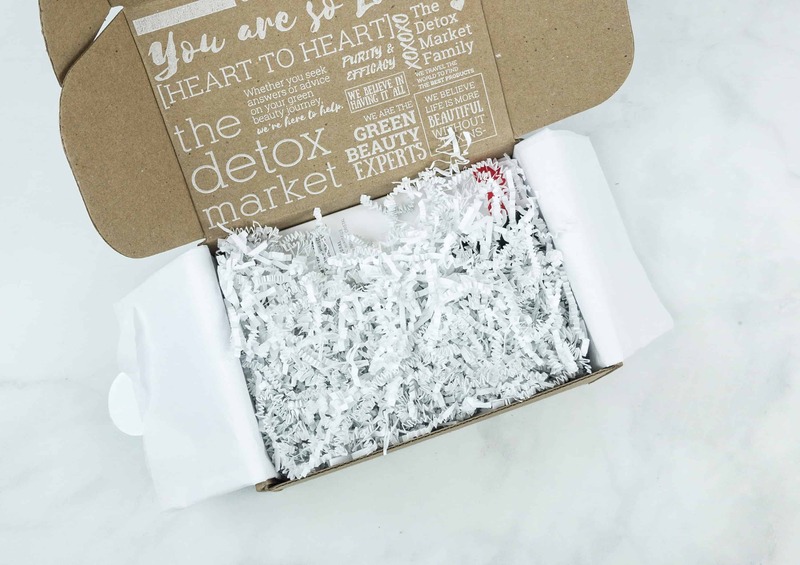 About $147 in value, this box always sells out – it’s an amazing deal! The website says $55 for a monthly subscription. How do I get it for $49.95? Thanks. This subscription just recently completed it first year and looks like they just recently adjusted their prices. 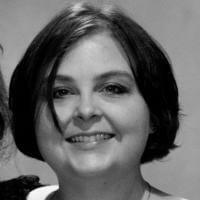 We’ve updated the directory listing and will update our next review too. Thanks! Ooooh, I wonder if it’s the lymph drainage?? ?